As well as Venice, the Veneto, in Northern Italy, offers loads of gorgeous old towns with art and history aplenty. 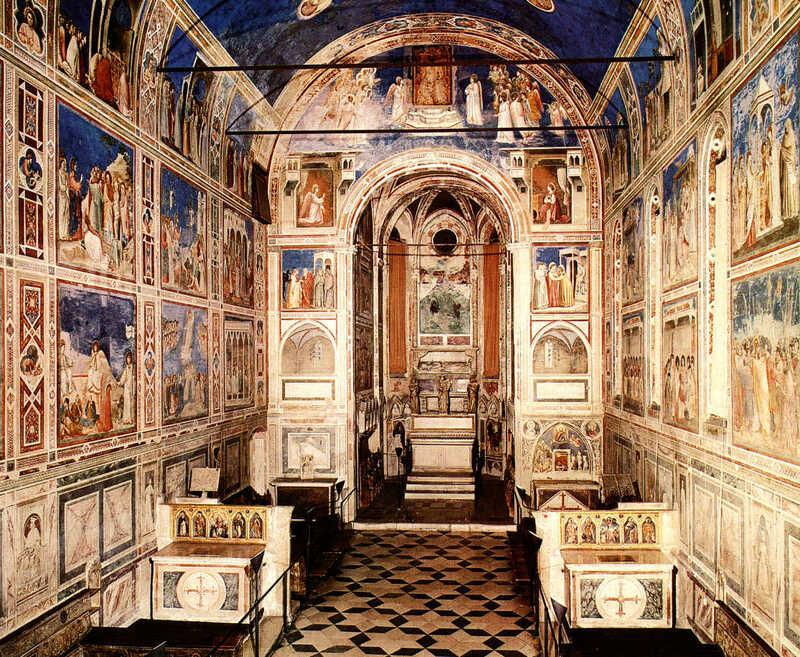 In Padua, there is Giotto’s amazing “Scrovegni Chapel”, that you have to book to see months in advance. Commissioned in 1305 by wealthy banker Enrico Scrovegni, it was intended to be a “get out of jail free” type offering to Mary on behalf of his Dad, a loan-shark, who was just a little dodgy to say the least. To get ready for the experience, you watch a video, and look through photos and mini models in a multi-media room, which was almost a shame, because we felt like we’d already been in there before we had. Then there was ANOTHER video and entry through a ventilated waiting room which stabilizes the micro-climate inside the chapel in which you can only stay for 15 minutes. It was truly beautiful, and if Wikipedia says it’s “one of the most important masterpieces of Western Art”, I guess I should believe it! In Northern Italy, we also made trips to the steep hill town of Asolo, and explored my family’s home town of Treviso with my excitable, hilarious second cousin, Giovanni, his beautiful wife Mara and their kids – Aurora, 13, who my girls fell in love with, and adorable Nicolo, 6. Italians are a passionate bunch, and even though they’re surrounded by history and art from birth, they never seem to take it for granted, and appreciate the beauty of their world. 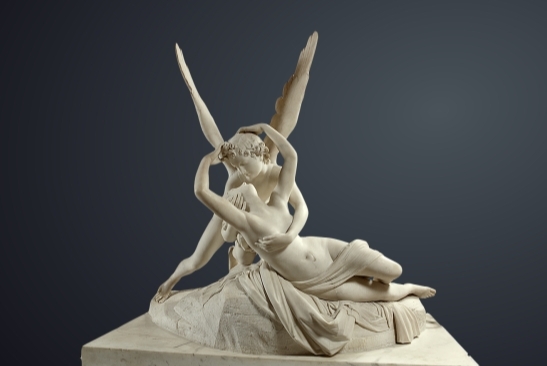 We also visited the home/museum of Antonio Canova, one of the Veneto’s most prolific sculptors in the late 1700’s. In his gipsoteca, copies of his sculptures, which are found in galleries and museums the world over, can be seen in the one spot. Treviso isn’t visited by many international tourists, but of all the towns we’ve travelled through so far, it would be the one we could most see ourselves living in. Smartly dressed folk promenade through the main strip on their daily passegiatta, hobnobbing at bars and cafes. The buildings, the rivers rushing through town, and all of the frescoed squares in this mini-Venice on the water felt so comforting. We visited the renovated bar I worked in for 3 months when I was 18, when I’d walk into town every day from my Auntie’s place to serve olives or octopus on sticks, and chilled prosecco to regulars, and in turn they’d give me the town gossip, or teach me to play poker. And how about the fountain of the women with water pouring out of her breasts! Back in the day, when a new mayor was elected, they’d fill one breast with red wine and another with white, keeping everyone happy! Now, we’re all kept happy taking photos of us drinking from those same breasts. Grazie cugini for a fabulous, welcoming stay. Can’t wait to see you in Australia. But I won’t disappoint you with a pizza there! Next Post Jousting sticks? What does he want for them?